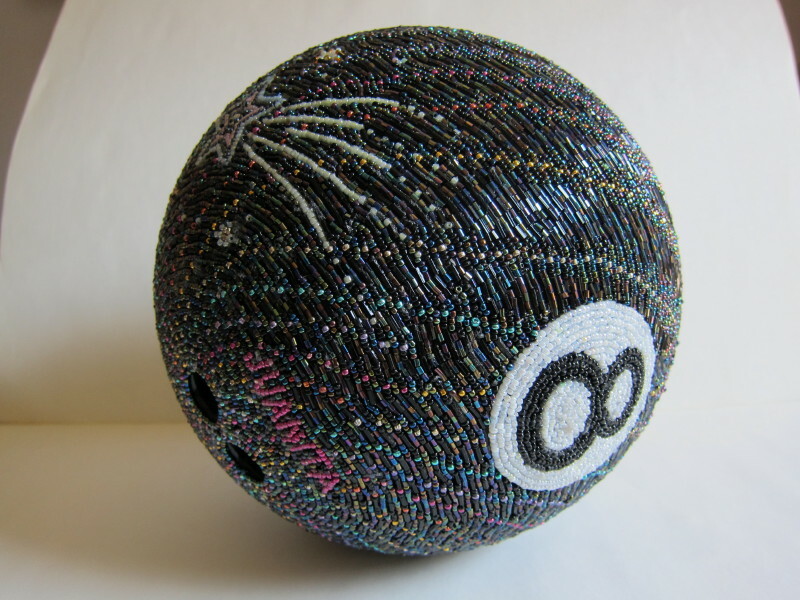 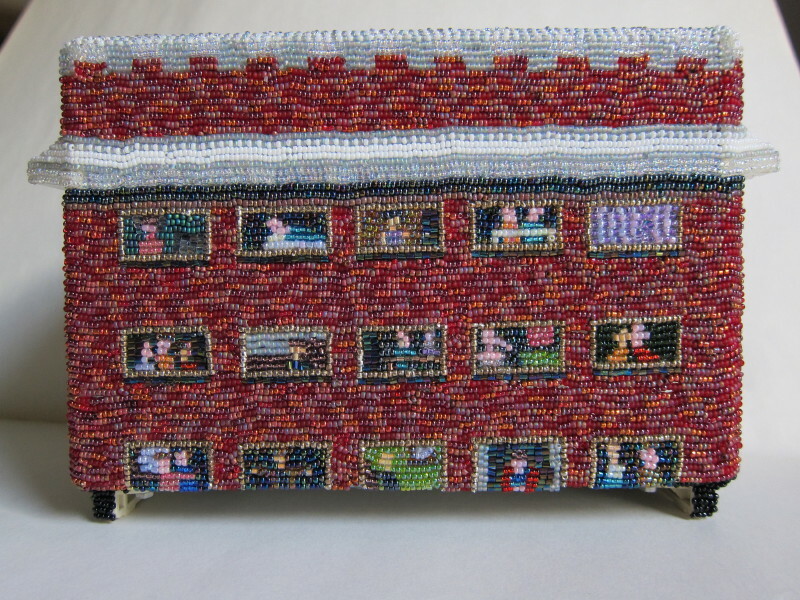 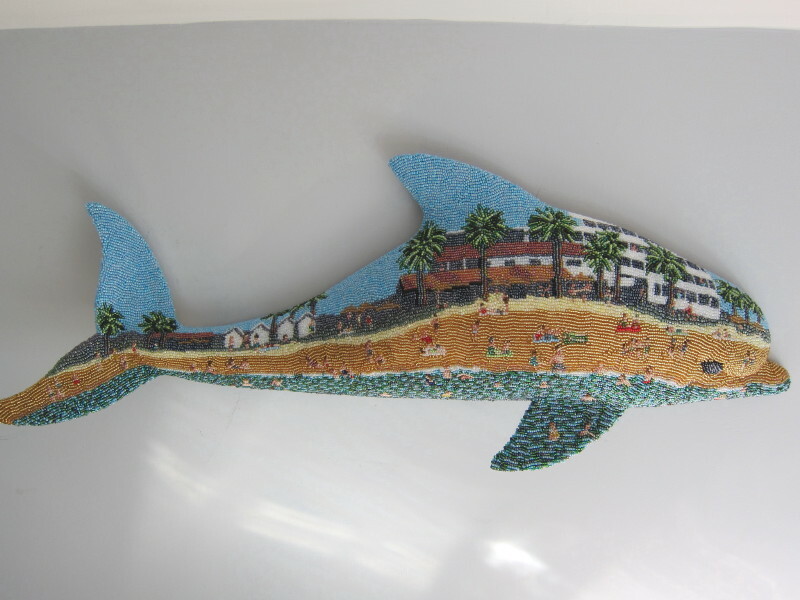 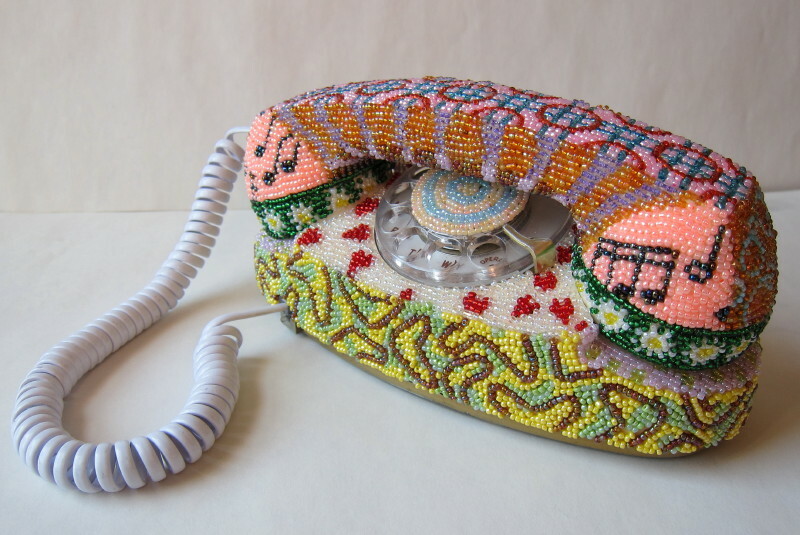 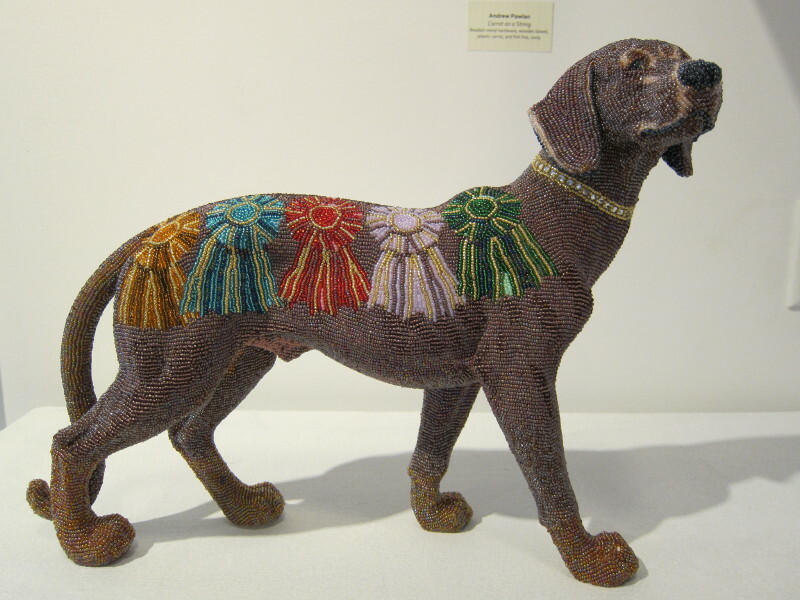 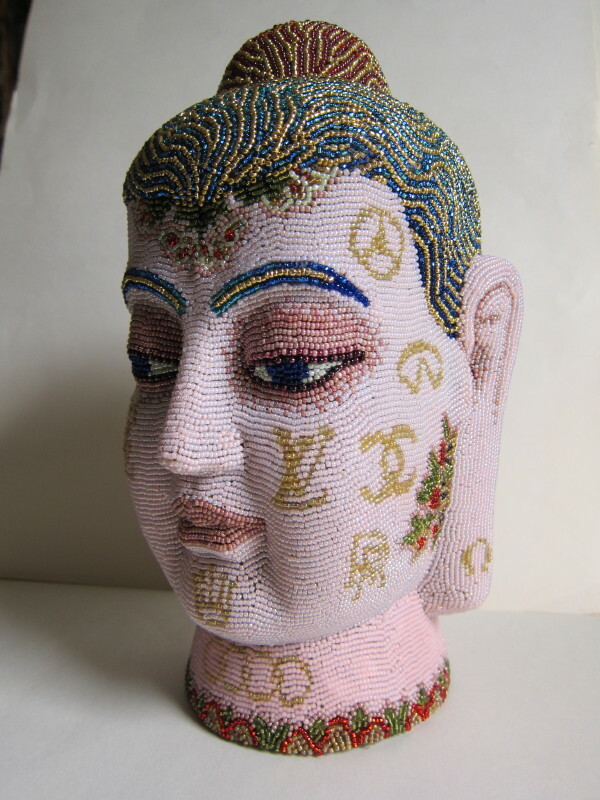 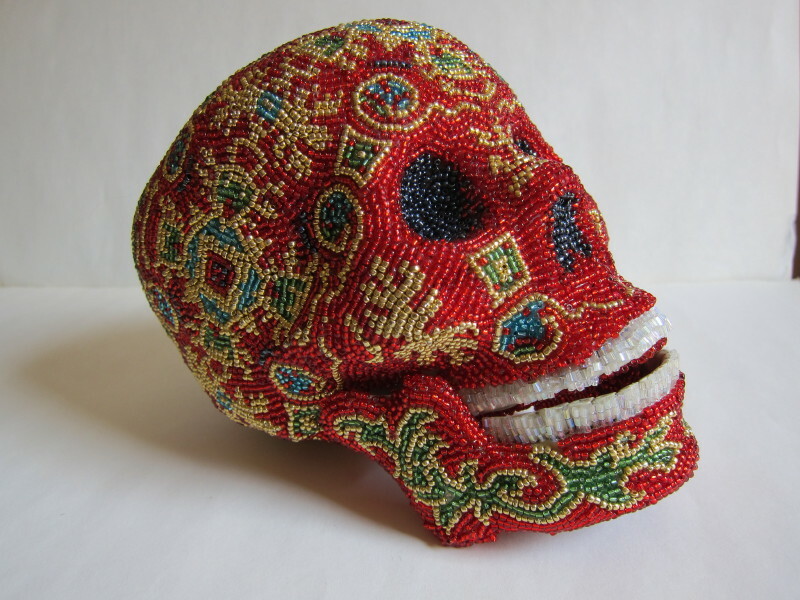 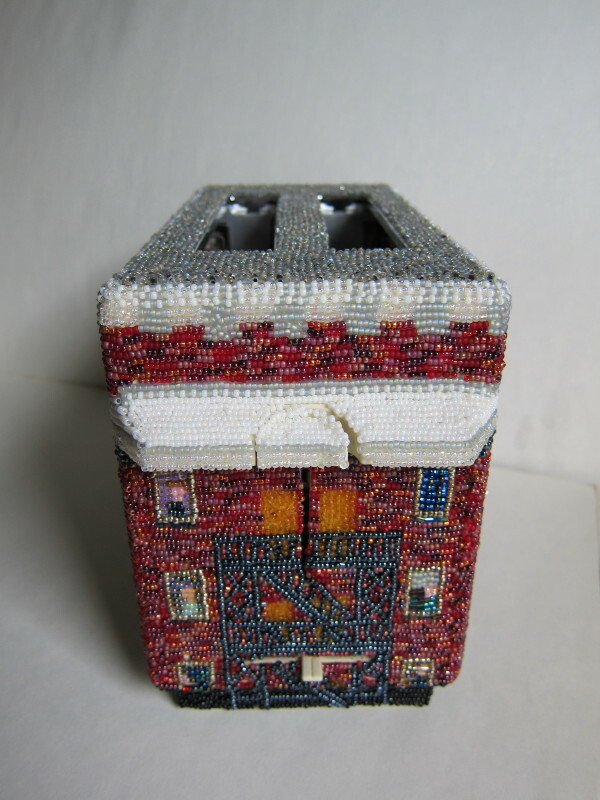 “Found objects encrusted with glass seed beads make up the body of my work. 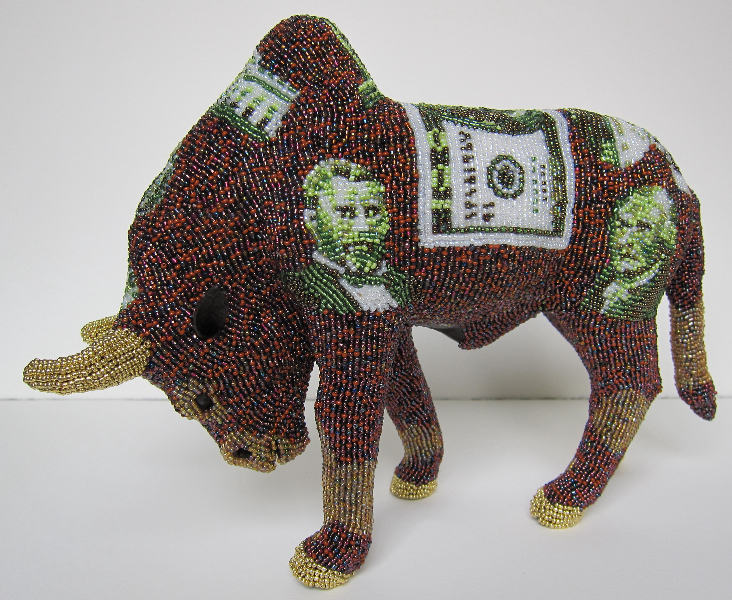 These works of art invite the viewer to reevaluate their natures, such as pride or greed and their attitudes on global warming or endangered species. 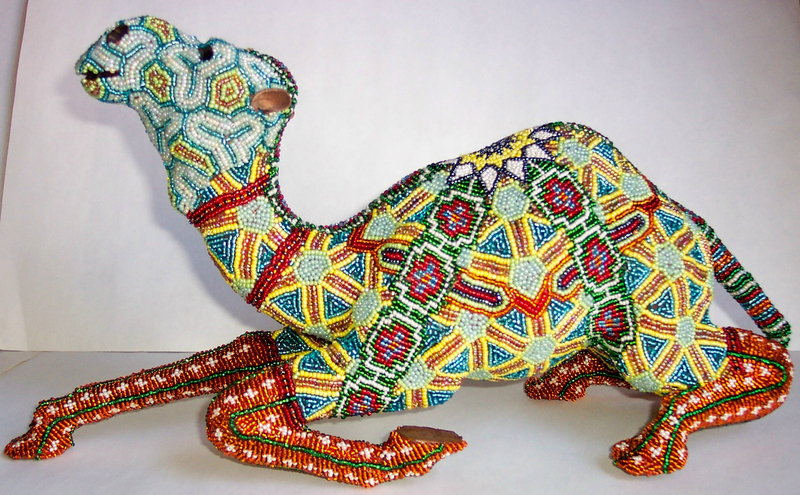 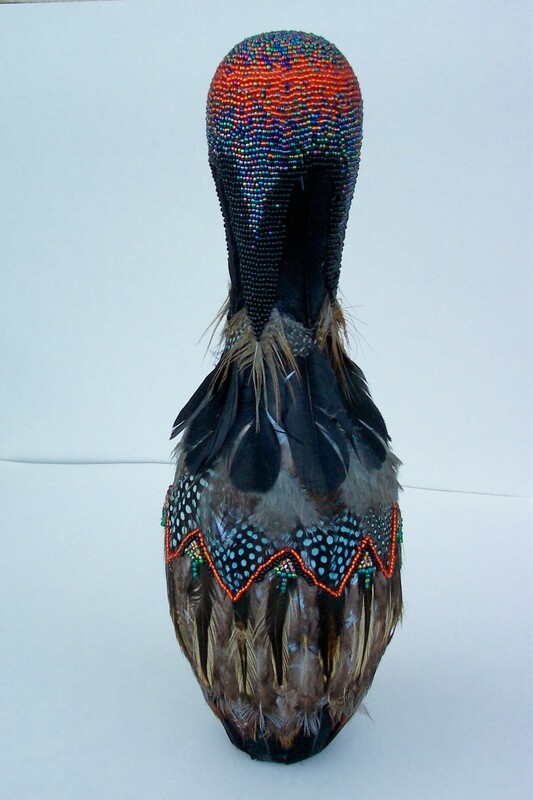 In my travels I have been drawn to native American, Haitian, and African beaded objects. 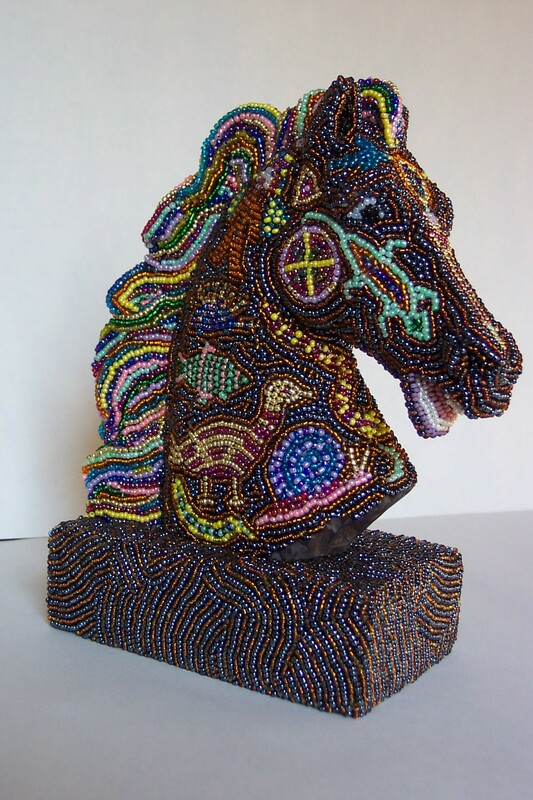 The glitter of tiny glass beads and the complexity of patterns dazzles the eye drawing one in, revealing cultural and historical context. 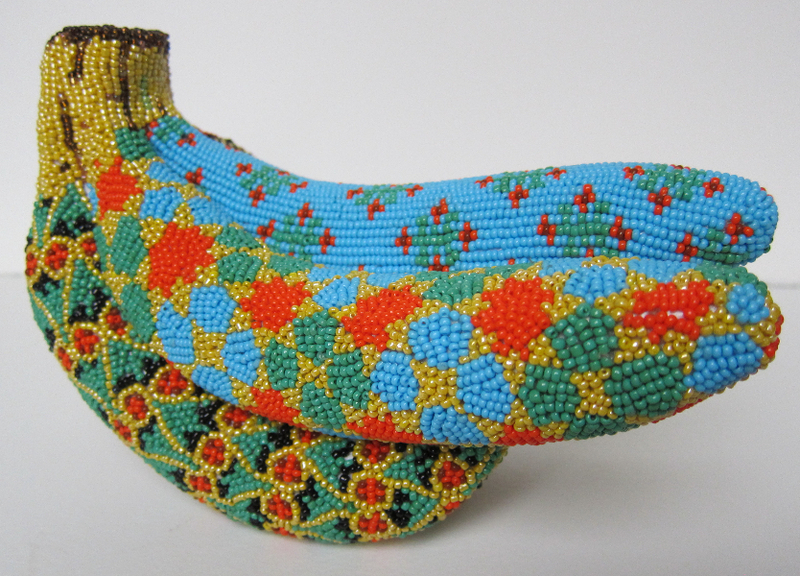 I create my own context by combining designs and symbols from different cultures and eras. 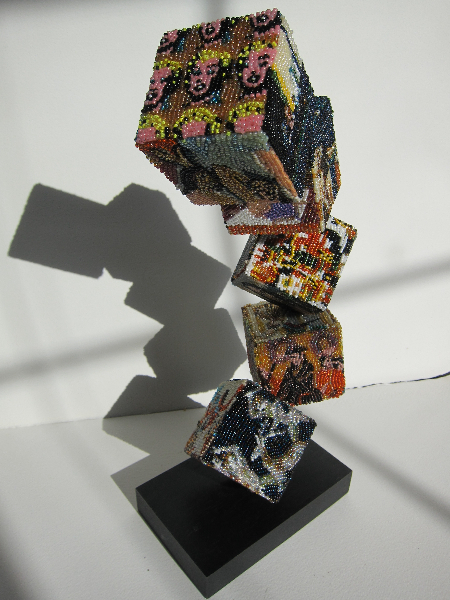 Irony and whimsy dominate my art calling attention to universal and timely issues: dichotomies of inner verses outer meaning, facade verses core, childish ideas verses adult attitudes.